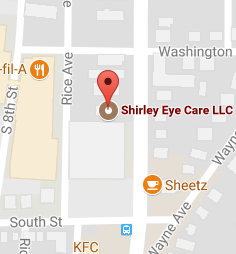 At Shirley Eye Care, the doctor provides you with full-service care in assessing your medical needs, your lifestyle, and recommends the highest quality contact lenses to ensure great vision. Contact lenses are prescription medical devices. Various brands are designed and manufactured differently. The selection of a particular contact lens needs to be based on your vision problems, prescription, eye health, comfort requirements, lifestyle, and age. We will discuss the different lens types and brands with you and advise you about the lens choices that are best for your particular eyes. Shirley Eye Care also provides specialty contact lens options for patients with ocular surface disease and irregular corneas. Because everyone’s eyes and vision needs are different, contact lenses are available with varying schedules for removal and replacement. We’ll teach you how to properly clean and wear your new contact lenses to maximize vision and minimize potential risks. Can My Child Wear Contacts? Watch this video, where Dr. Shirley, our Indiana, PA eye doctor walks parents through the ins and outs of kids wearing contact lenses. What are Daily Disposable Contacts? In this video, our Indiana eye doctor, Dr. Shirely, discusses the benefits of daily disposable or “single-use” contact lenses. Since contact lenses are not “one-size fits all”, a contact lens evaluation is required to ensure a great fit and prescription. At your initial exam, Dr. Shirley will examine your eyes to determine if you are a good candidate to wear contact lenses. Your prescription and the curvature of your eye will be measured, and Dr. Shirley will discuss lifestyle and/or any special needs you may have. We will then determine the type of contact lenses that best fit your eyes and provide you with the most accurate vision while ensuring that your eyes remain healthy with the lenses. If trial lenses are available in the office, you may be able to go home with lenses the same day. However, if your prescription or curvature warrant, contact lens trials may need to be ordered. When the lenses are available, a fitting examination is scheduled as a practice session for you to try your new lenses and to become proficient at lens insertion and removal. The doctor will also look at the lenses on your eyes and determine if any changes need to be made. If the lenses fit well and you are seeing fine with them, a checkup exam is scheduled one week after the office visit. Please note that contact lens prescriptions are only valid for one year. Seeing 20/20 isn’t the only reason for an annual contact lens exam. Your eyes are susceptible to irritations that may be caused by contact lens wear and many problems that are undetectable to you can develop into more serious conditions. Therefore, it is important that you schedule a yearly exam and maintain healthy contact lens care and compliance. Soft contact lenses are comprised of a soft plastic material that allows oxygen to flow to the cornea. This type of contact is comfortable and popular among contact lens wearers. These lenses are disposable at the end of each wear cycle. Rigid gas permeable contact lenses are also known as hard contacts. Although they are more durable and less expensive over the life of the lens, this type of contact is oftentimes less comfortable than soft lenses and more difficult to get used to. Extended or Continous wear contact lenses are a soft contact that can be worn overnight from 1-6 days, or for up to 30 days at a time. American Optometric Association. 2015. Web. <AOA.org>.